Hijab chic dresses for women in hijab. 2015 hijab styles and looks will make your hijab outfit even more chic and elegant by wearing the exact dress. We all know the importance of a nice long hijab dress. A one more reason for choosing a dress for your hijab concists in the actual season of summer 2015, in which temperatures reaches high degrees. 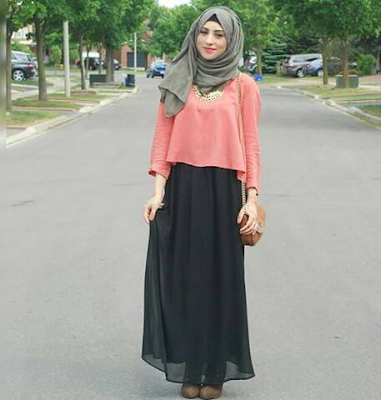 So wearing a hijab long dress may help you feel more comfortable. Enjoy thoses outstanding beautiful hijab dresses.